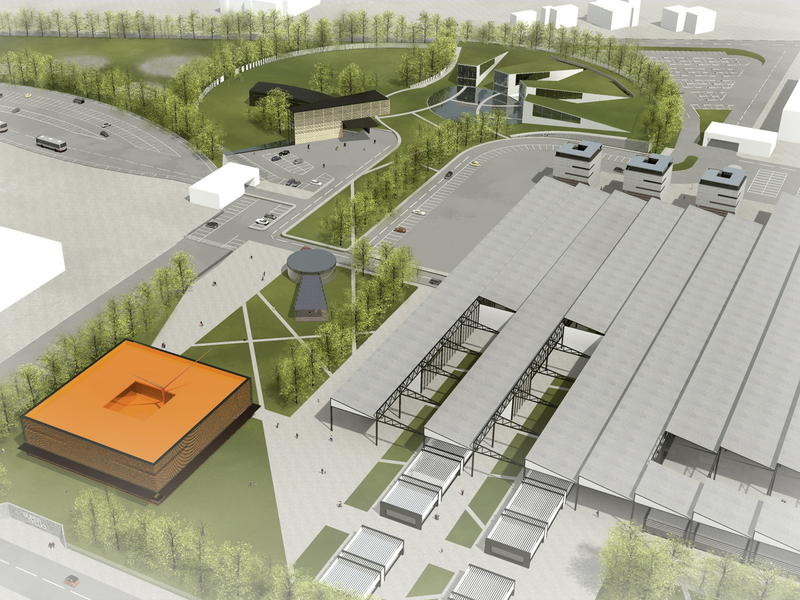 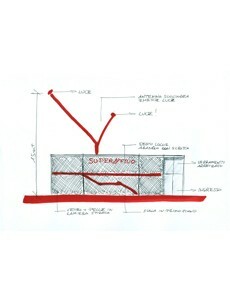 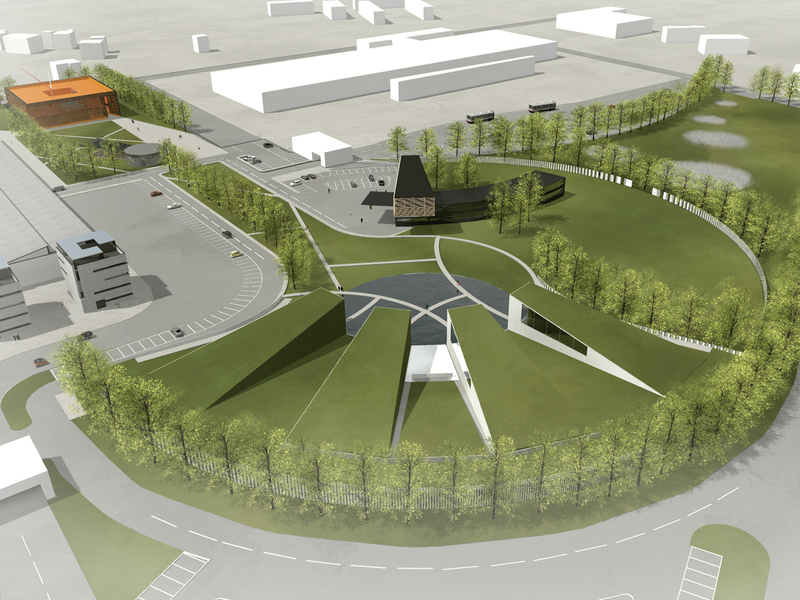 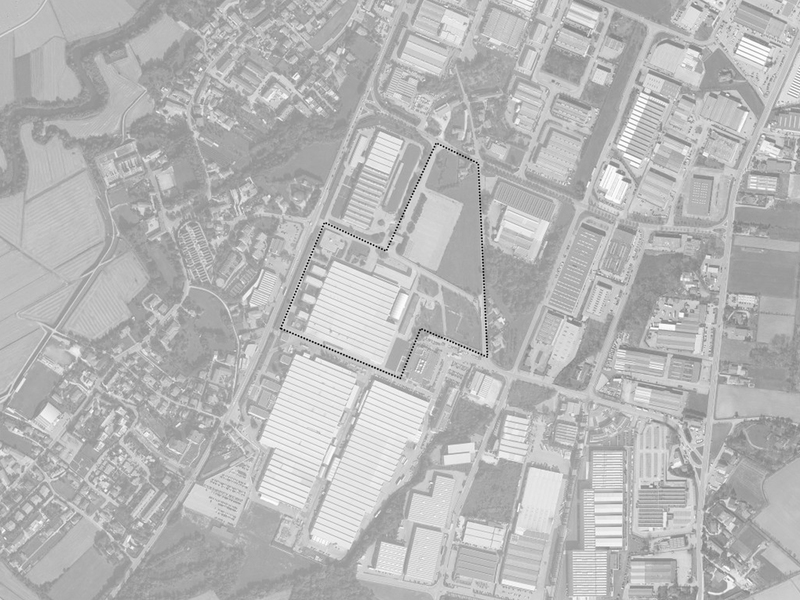 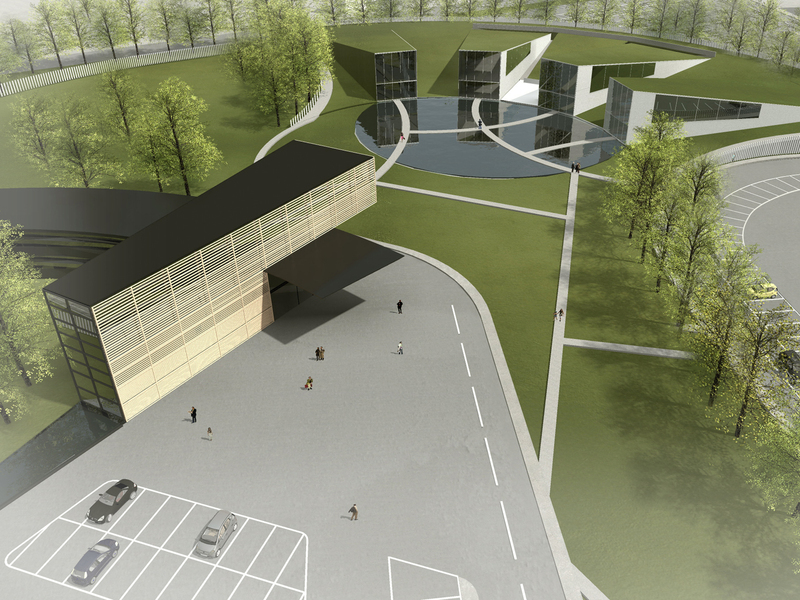 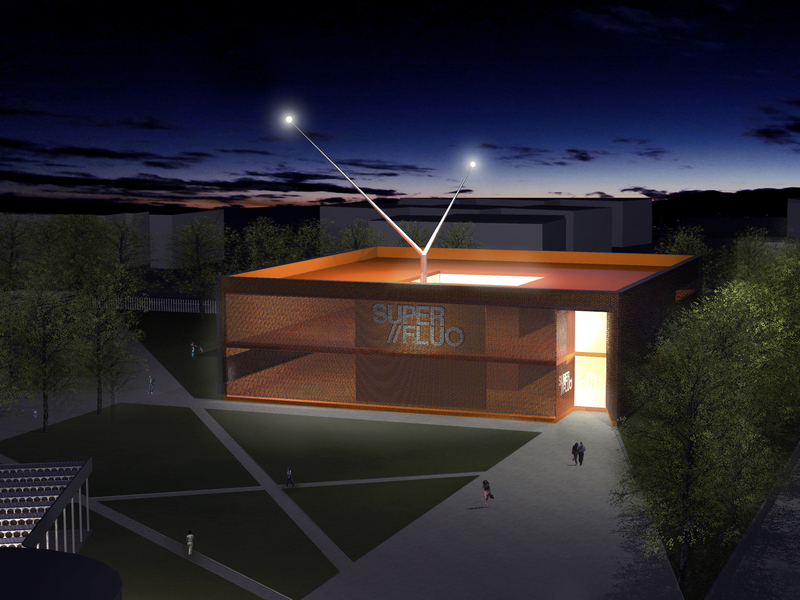 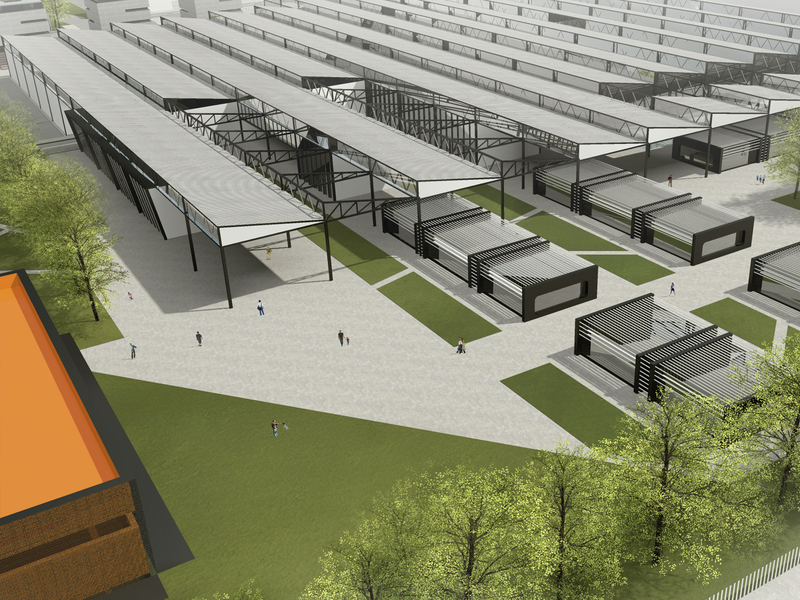 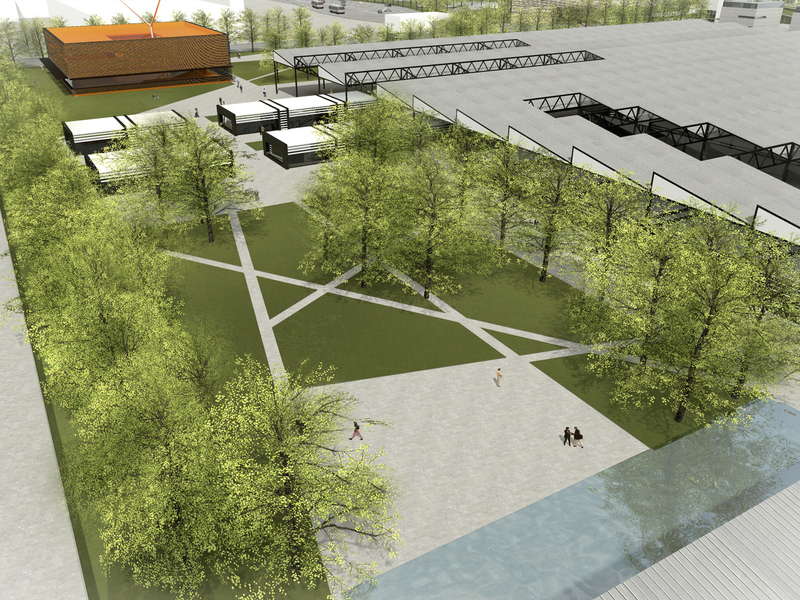 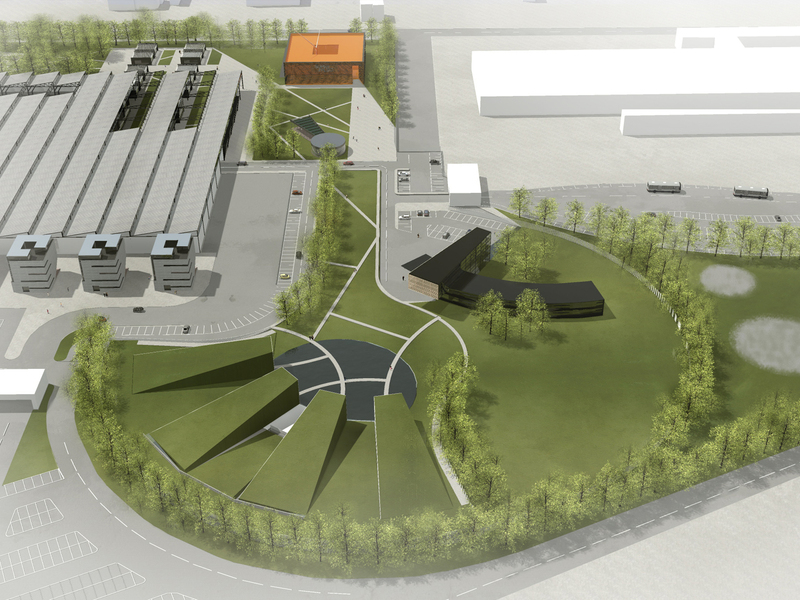 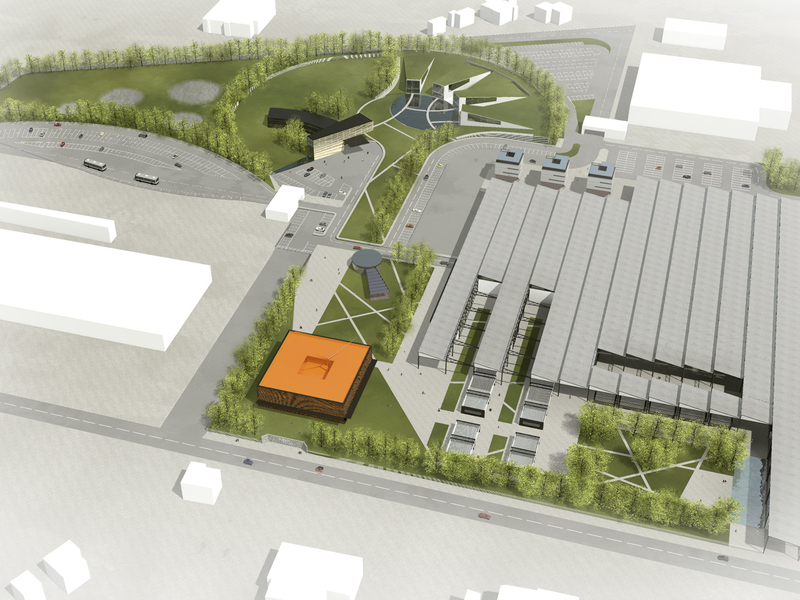 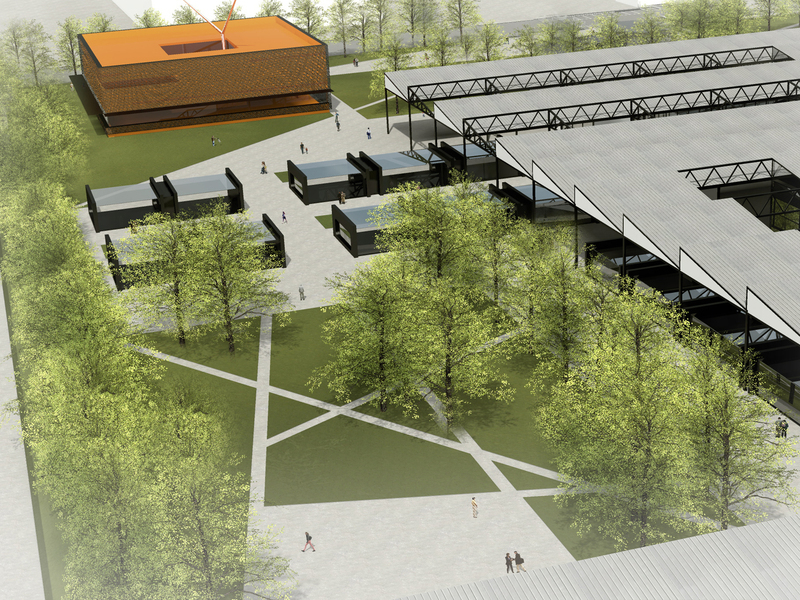 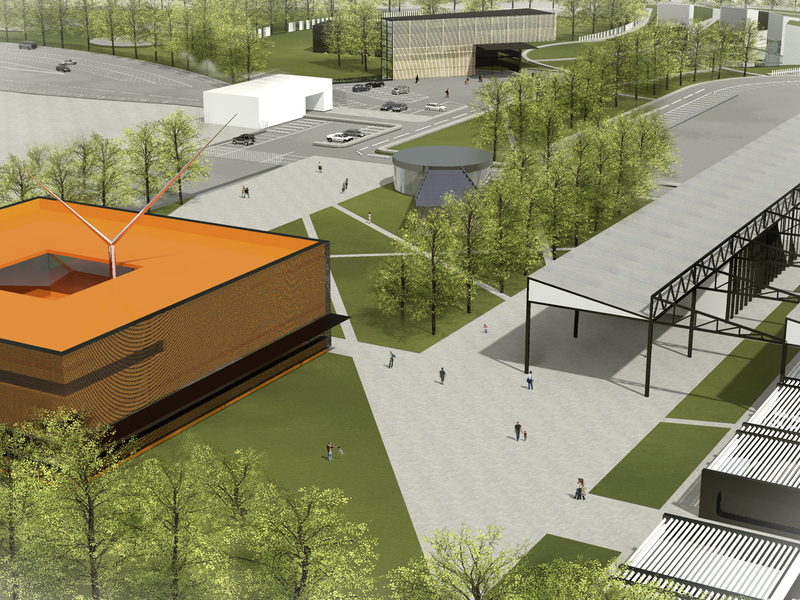 The masterplan provides the redevelopment of an industrial area of 120000 sqm located near Pordenone. 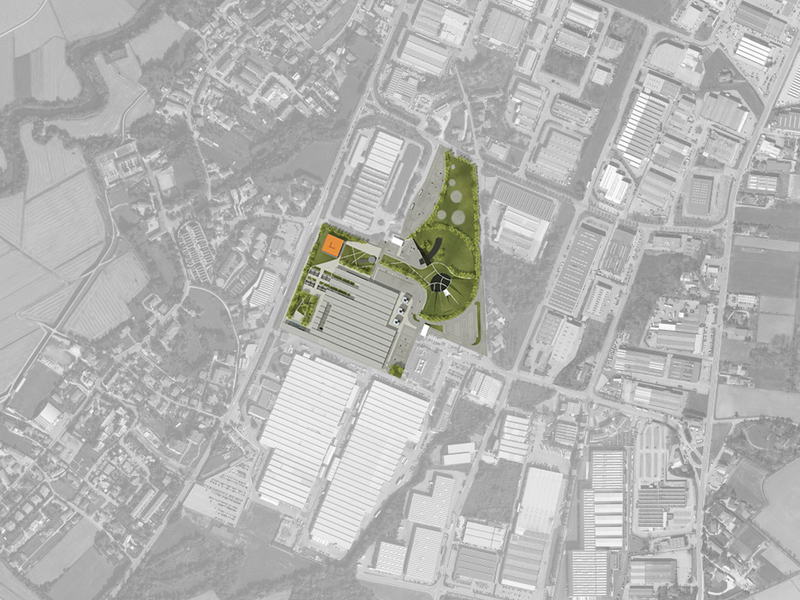 Alongside the growth of the company, the project aims to promote a predominantly productive area with the integration of new functions such as trade, hospitality, residence, making the space more lively and dynamic. 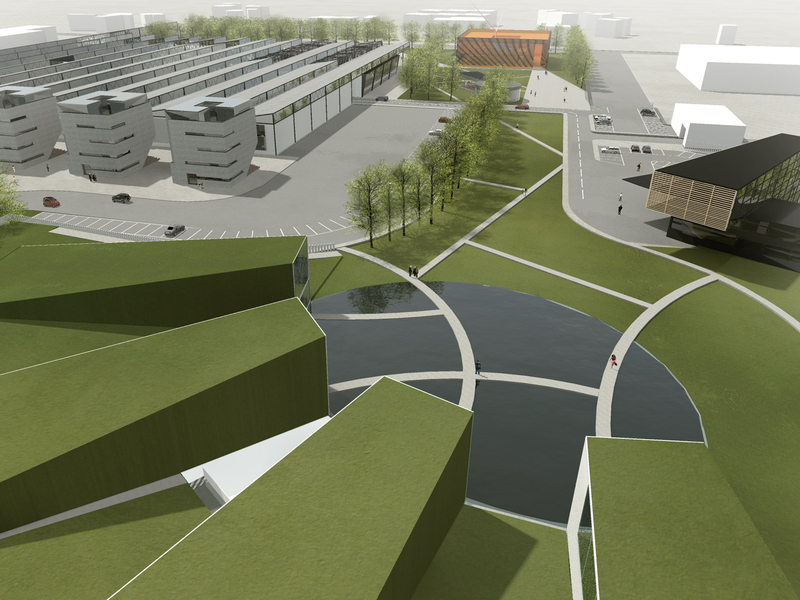 Buildings cornerstone of the entire project: the large volume square plan reminiscent of a TV screen and the trapezoidal volumes embracing the central body of water, integrate perfectly with the environment through green walls and roof. 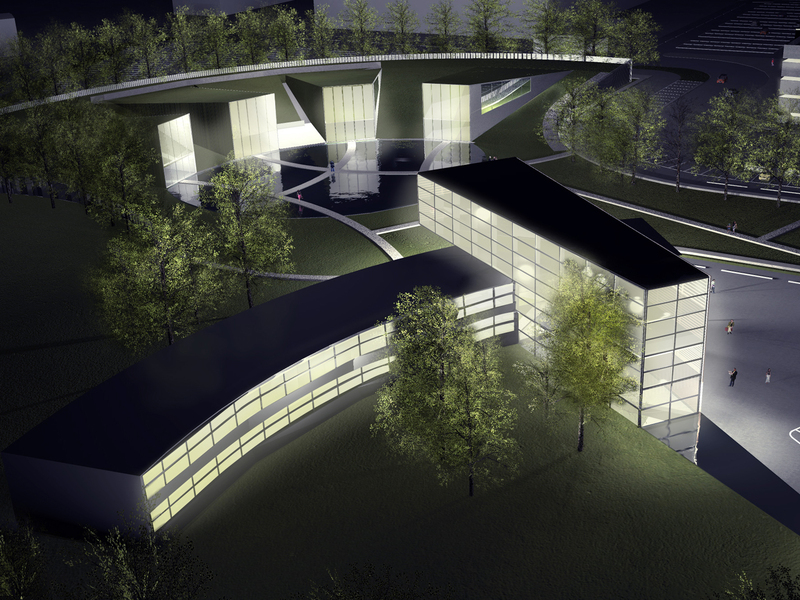 Is also nearby the hotel, consisting of two circular arcs that intersect.